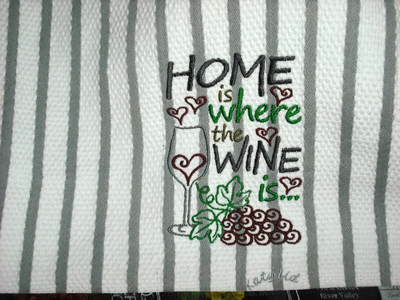 Home is where the Wine is. 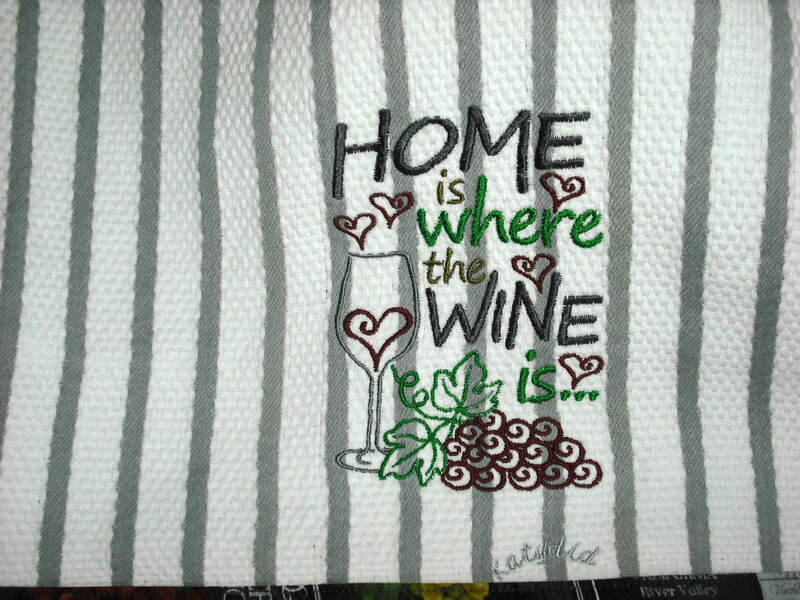 Kitchen towel. 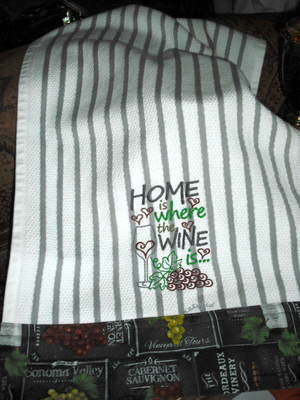 Great design, and I love the fabric border you used on the towel. Perfect combination. Well done. 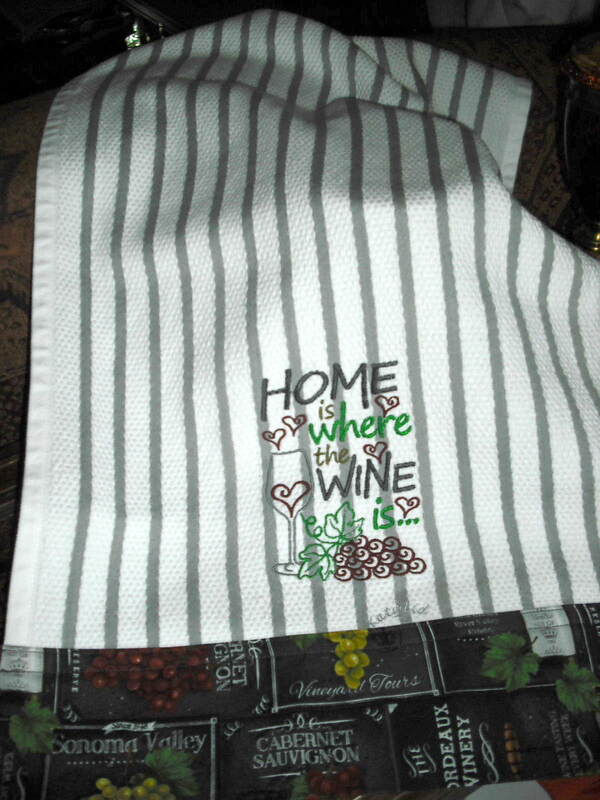 Again, nice stitching and pretty towels. Keep 'em coming! a\Another great design, well done. Sandra.